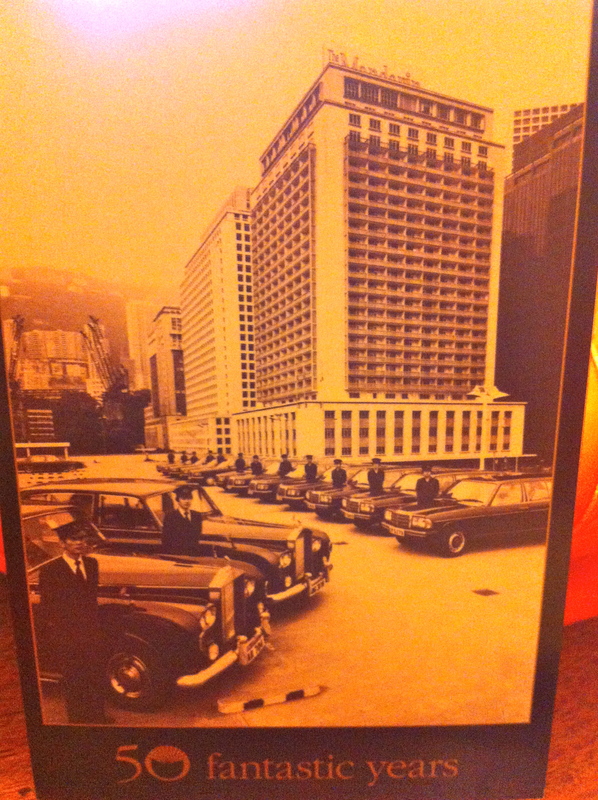 In 1963 a new type of hotel was built in Hong Kong. It was 26 stories tall and offered 650 guest rooms. Best of all, it offered stunning views of one of the world’s most exotic harbors. Fifty years later, the General Manager, Jonas Schuermann and Director of Communications of the Mandarin Oriental, Hong Kong, and the lovely Nina Colls, invited a group of people to attend a luncheon at Spago’s Beverly Hills to learn how the hotel will be celebrating its 50th Birthday. While nibbling on slices of Spago’s signature house-cured salmon pizza with dill creme fraiche and slices of chicken, caramelized sweet corn and roasted peppers pizza, we learned that the hotel is still 26 stories tall, yet they now have 3 Mandarin properties in Hong Kong. 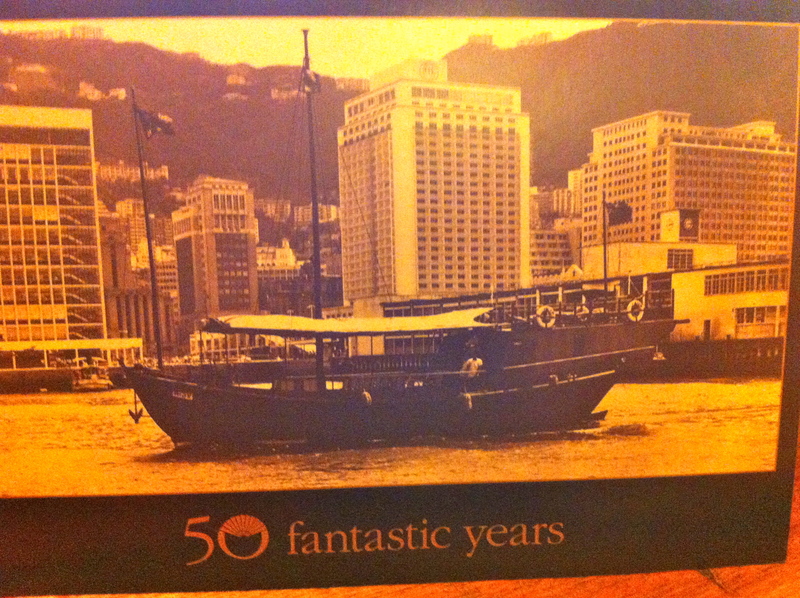 The flagship hotel, overlooks Victoria Harbour and is a forty minute drive from the airport. In 2005, the hotel spent $150 million to renovate its 501 guestrooms, 10 restaurants, and numerous public spaces, as well as to construct the Mandarin Spa. Now there are 71 individually-designed suites and 430 guest rooms with either exciting city or lovely harbor views. When our second course at Spago’s arrived, Jonas told us about the ten restaurants and bars at the Mandarin Oriental. Jonas has been working at the property for 24 years. He loves the property so much, that he resides there with his two poodle. There are two Michelin starred restaurants from legendary French chef Pierre Gagnaire at Pierre and Mandarin Grill +Bar serving classic grill dishes and seafood. At Man Wah they serve Cantonese dishes. Krug champagne is served with tasting menus at The Krug Room. During 2013, Executive Chef Uwe Opocensky will offer exciting adaptations of 1960s’ dishes with a 21st century twist in the exclusive Krug Room. He has created the “Fruit Loops 2013,” Julia Childs-inspired “Beef Bourguignon”, “Baked Alaska” and “Ich bin ein Berliner”. 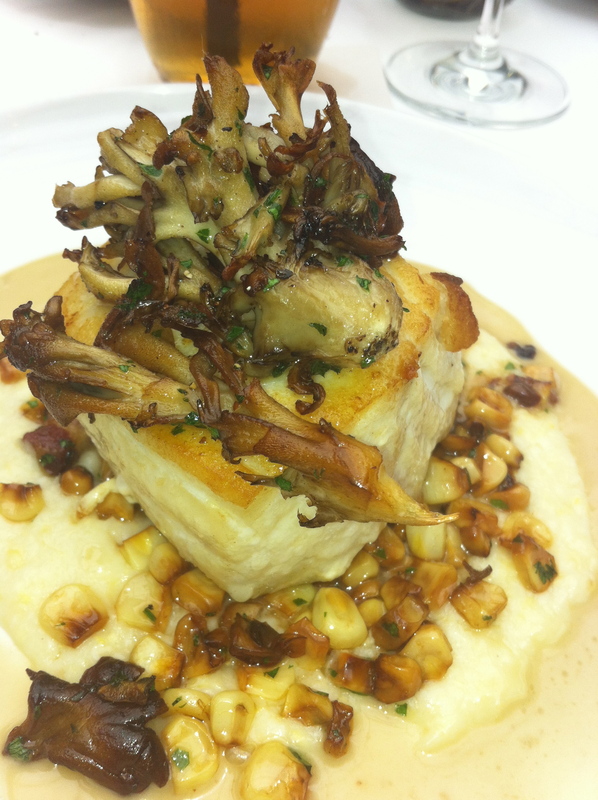 When the spectacular Alaskan Halibut arrived at my table setting at Spago’s, it was served on a bed of sweet corn, braised pancetta, maitake mushrooms and mushroom nag. Nina Colls sitting nearby shared with the table the Mandarin Oriental’s Spa and Wellness facilities. The multi-level retreat offers 8 treatment rooms. There are two couples suites with private steam showers and a jucuzzi. Treatments at the Spa range from around the world to traditional Chinese Medicine. For those who enjoy a gym, there is a 24-hour fitness center with Hong Kong’s first Kinesis studio. Guests who enjoy swimming laps, can in the indoor pool. There is a salon for hair styling, manicures and pedicures. Men may go to the Mandarin barber for traditional male grooming. As we were finishing our lunch with a refreshing sorbet and berry plate, Jonas said, “80% of Hong Kong is green.” That surprised many of us. We all picture the harbor with a multitude of high-rise buildings dotting the landscape. “There are hiking, biking and walking trails throughout the International Cosmopolitan City,” he said. This special two nights’ package will be available between 1 September and 29 December 2013, with rates starting from HKD19,888 for the first night and HKD9,888 for the second night, for a minimum of two nights. This offer is subject to availability. For further information click here.